Indian Scientific Research Institute - Raman Research Institute (RRI) is accepting applications from candidates pursuing undergraduate and master degree for the visiting student programme (VSP) Internship at Bangalore. Raman Research Institute is founded by Dr. C V Raman in the year 1948 at Bangalore. At present, the Raman Research Institute is conducting various research programmes on Liquid Crystals, Astronomy, and Astro Physics. Interested candidates for the visiting student programme Internship have to check the eligibility criteria. Let's have a look at the requirements and how to apply for the Raman Research Institute Visiting Student Programme. The Visiting Student Program (VSP) is for offering research experience to highly motivated students who are presently pursuing their undergraduate or Masters Studies or who are in a gap year that is within a year of completion of these degrees. The purpose of the program is to expose the current research activities of the Institute and motivate them to take up research as a career. Students are Fresh passed Outs are advised to not miss these type of golden opportunities. Programme Duration: The VSP programme at the Raman Research Institute runs throughout the year. The duration may vary between 4 weeks to 6 months. Students can also find the research programmes greater than 6 months. Students within 1 or 2 years of the end of their undergraduate science or engineering degrees, or masters in science of engineering, and in particular those students with the intention of pursuing research as a career, are encouraged to apply. Students from Bangalore colleges, who are keen to work on a part-time basis for gaining research experience at Raman Research Institute, will also be counted. 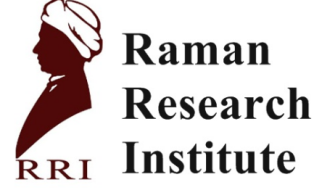 How to ApplY for Rama Research Institute RRI Internship? The student should Email directly to the research staff member of choice exploring the possibility of working on a project. The e-mail should contain information about the student's academic background and the description of work like to pursue. The Email List and the Remaining Details are present in the Official RRI Institute Web Portal.